2 1/2 cups diced green chiles (about 20 chiles) Salt & pepper to taste. Brown pork in skillet with garlic and pepper. Add flour and brown as well. 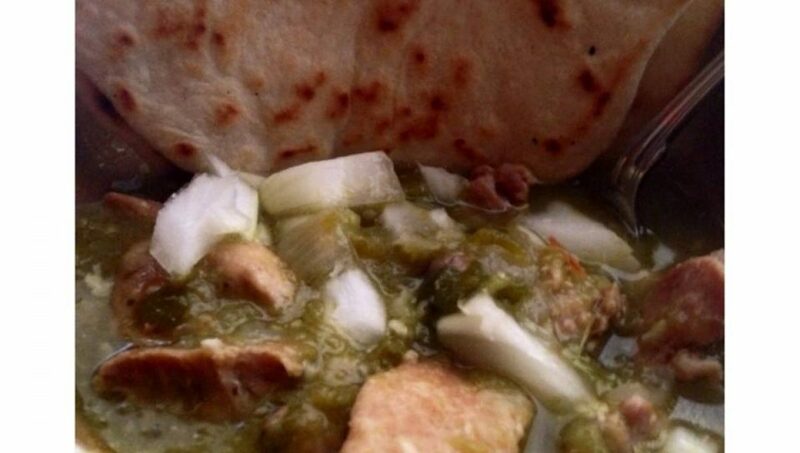 At low heat mix pork, garlic, water, green chiles. Simmer for at least 2 hours. flour can be added to thicken. If you like really thick chile, use 4-5 tbsp.